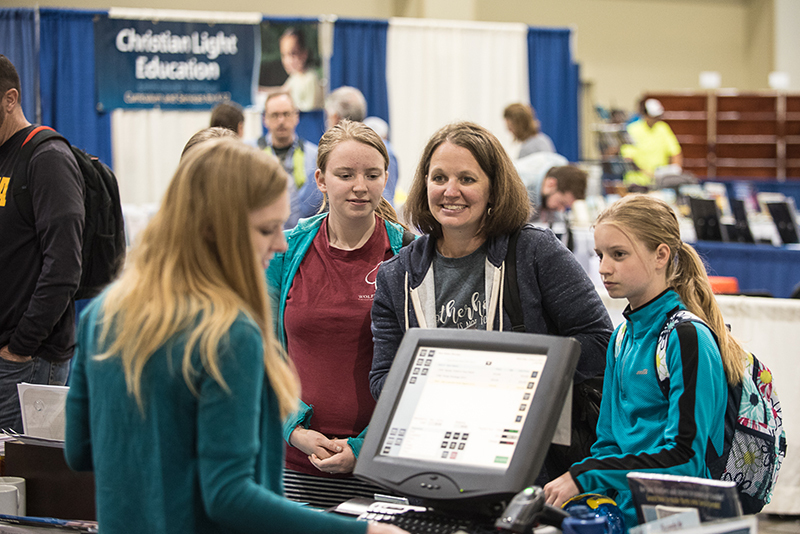 Over 1200 homeschooling attendees experienced an inspiring dose of encouragement and motivation at the 2018 Homeschool Iowa Conference. 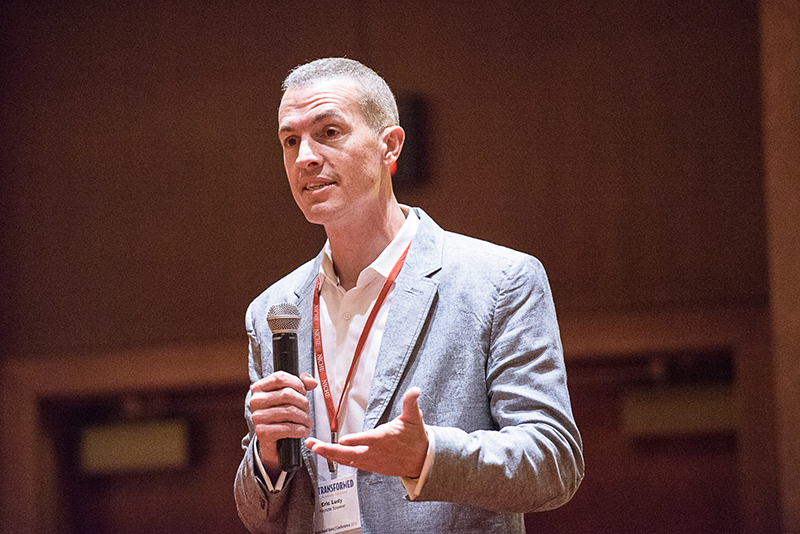 This year's conference delivered on its theme, "Transformed!" 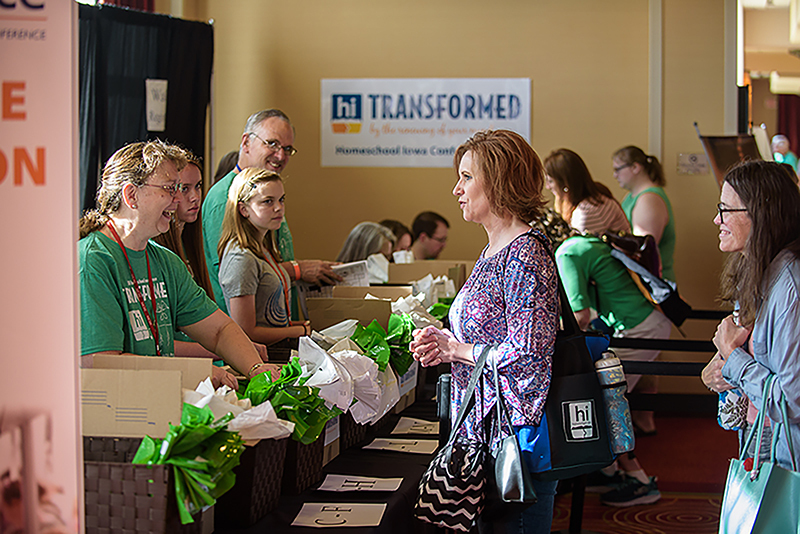 Our conference attendees received the crucial tools and resources needed to "transform" their homeschooling efforts toward excellence. 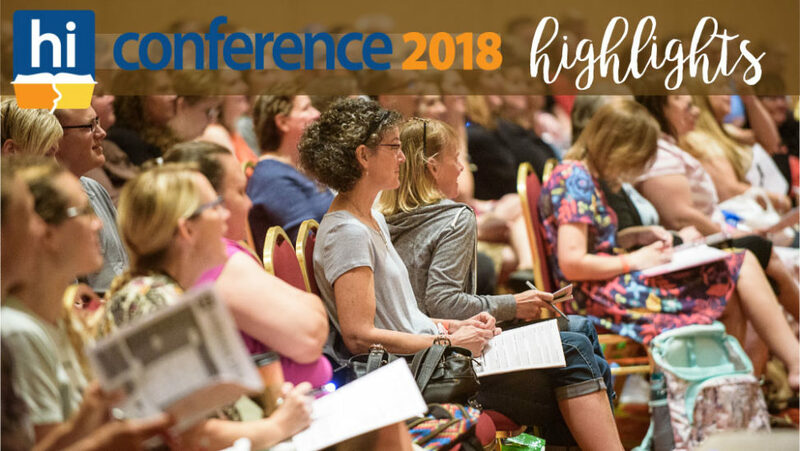 Check out these conference highlights! 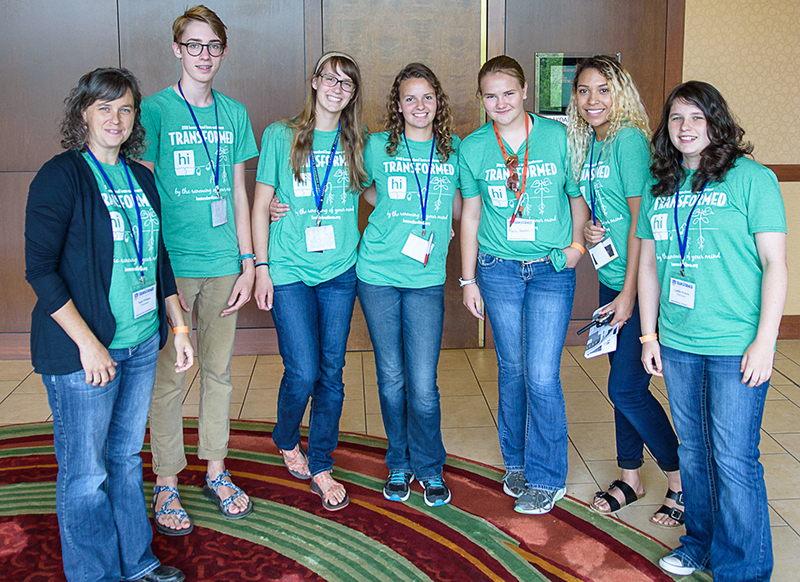 Our friendly registration team made check-in quick and easy. 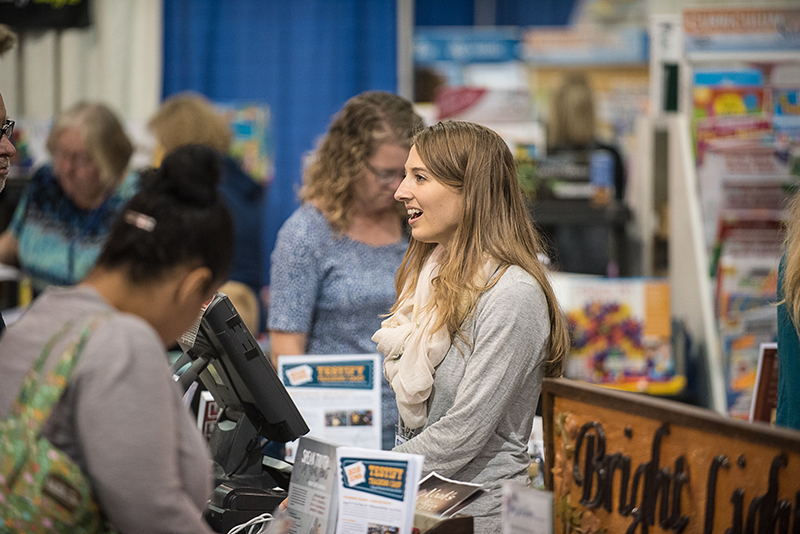 The Used Curriculum Sale and Small Business Expo attracted lots of exhibitors and shoppers on Thursday afternoon. Attendees experienced a huge dose of "transforming" motivation and encouragement in the workshop presentations. 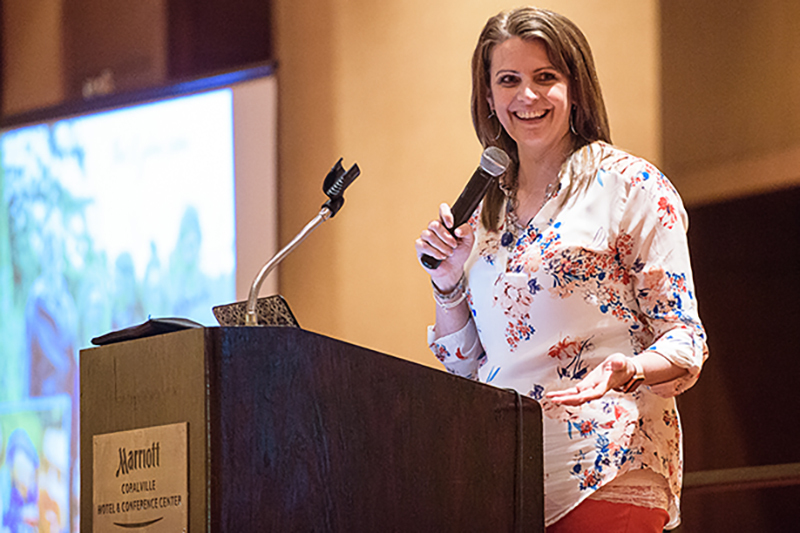 Heidi St. John received rave reviews from our attendees! 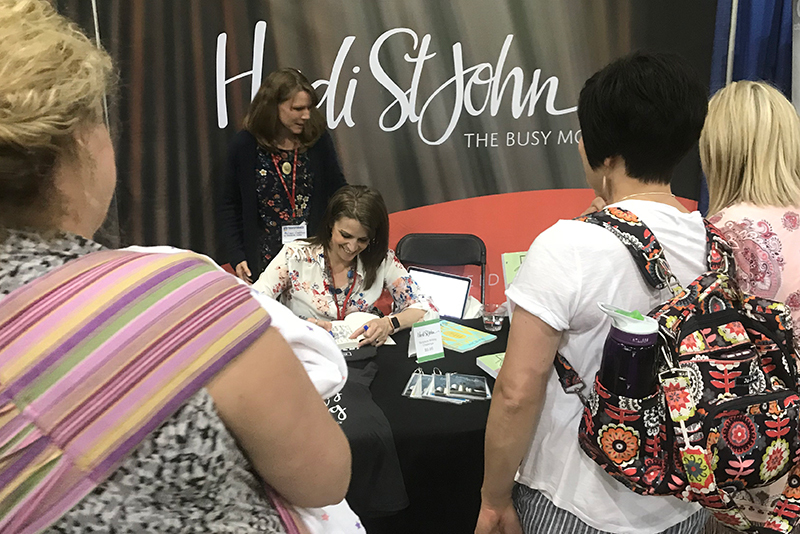 Heidi's exhibit hall booth was a busy spot. Here she is signing copies of her books for conference attendees. Keynote speaker Eric Ludy shared from his heart. 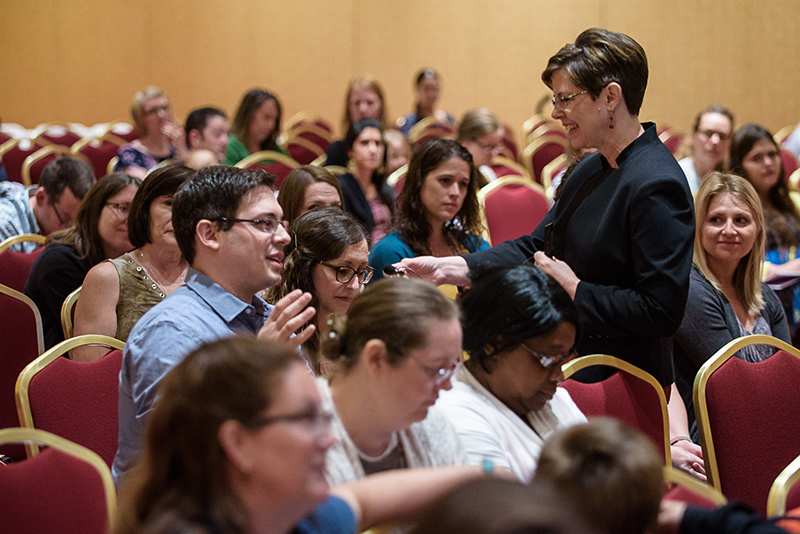 Speaker Sonya Shafer included interaction with attendees in her workshops. NICHE board member Brad Dittmer caught this photo with his drone. 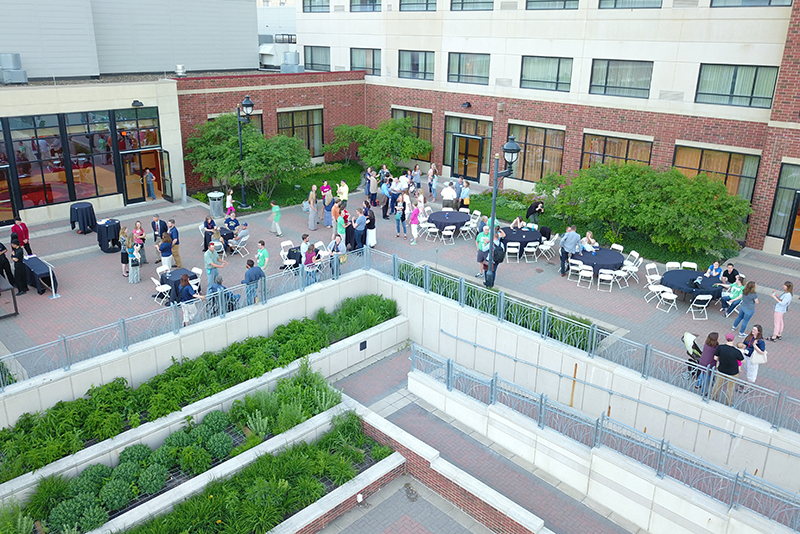 The crowd was just beginning to congregate for our first-ever Friday night mixer. 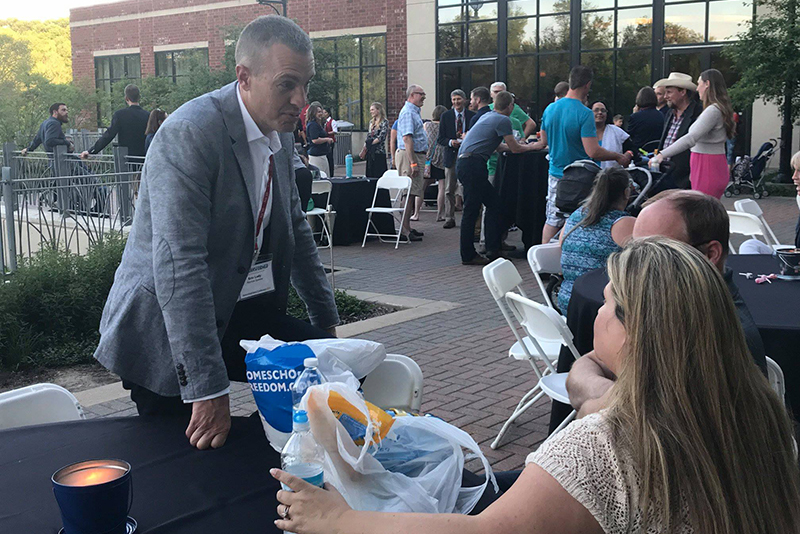 Attendees had the opportunity at the Friday Night Mixer to chat with some of our speakers, like Eric Ludy, pictured here. 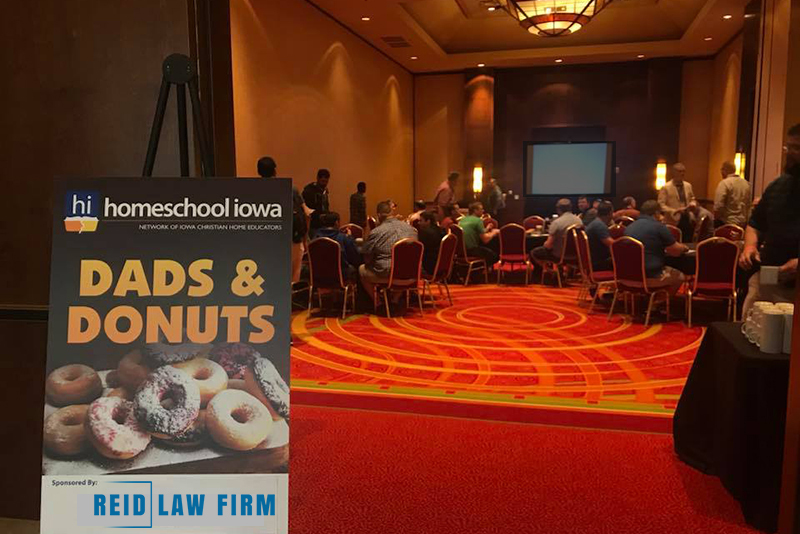 Homeschooling dads enjoyed a Saturday morning breakfast with speaker Eric Ludy. Over 100 women gathered in the adjacent room for Moms & Muffins with Heidi St. John. 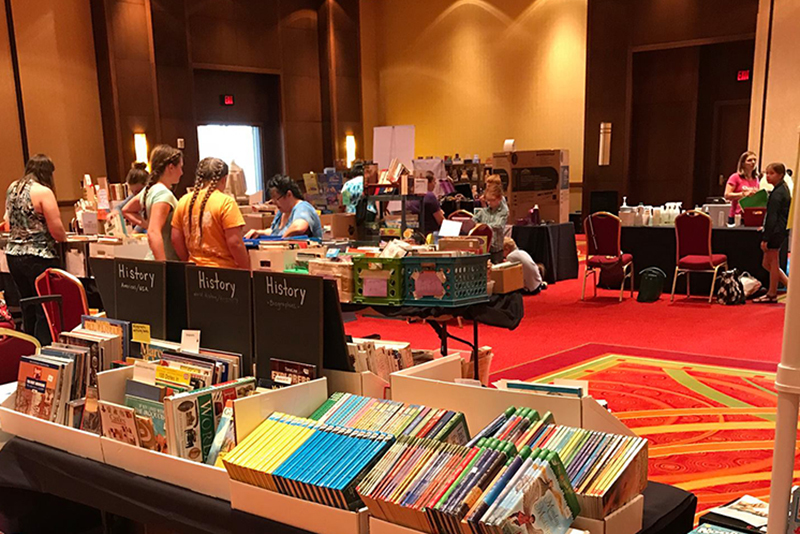 The conference exhibit hall brought smiles to attendees' faces as they shopped for needed items. 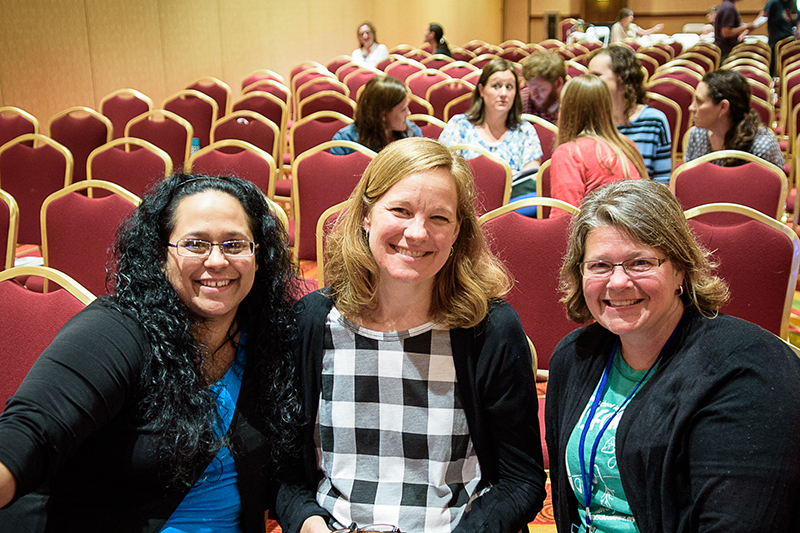 This attendee brought her daughters along to the curriculum hall to help make selections for the coming school year. It appears they were successful! The between-session breaks offered opportunities to enjoy some fellowship. We couldn't produce our conferences without our amazing volunteers. 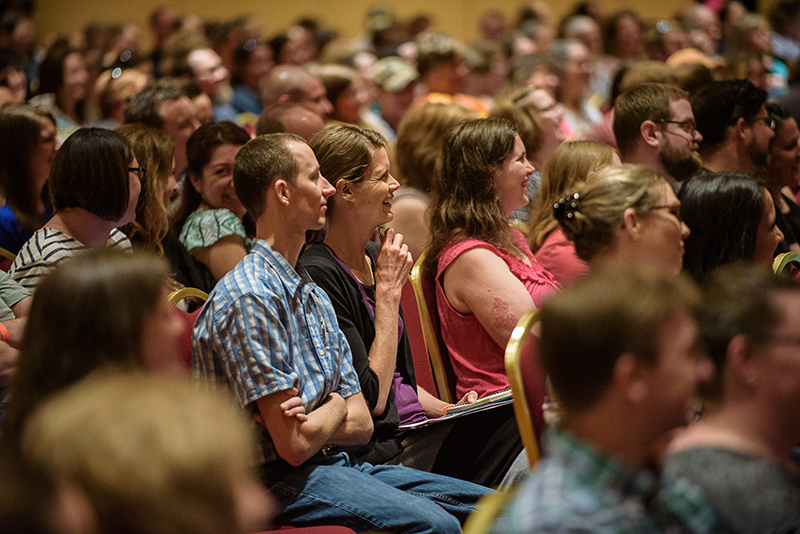 Thank you to all who helped to make this year's conference a success! and I am walking away feeling encouraged, equipped, and excited.